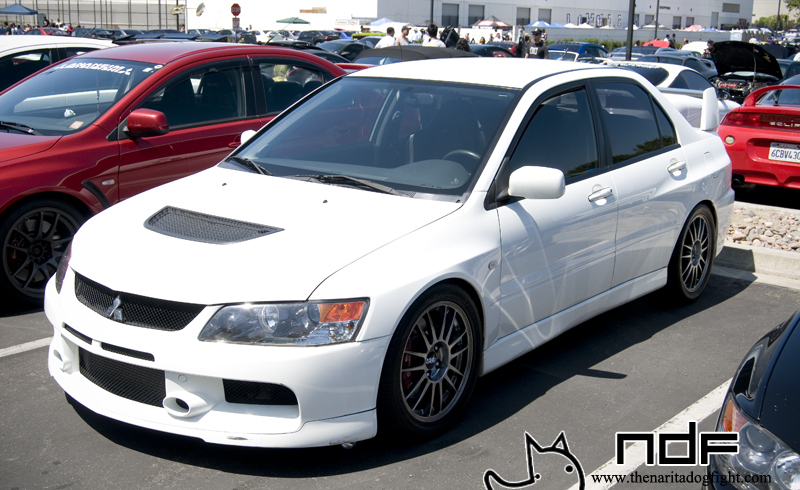 Disclaimer: Aside from the Evolution, I am not a fan of any model car that Mitsubishi has produced in the US. I respect the potential of a DSM engine, but as far as aesthetics go, ugly is the word. With that said, I should change the name of this post to ‘EOD – Evolution Owner’s Day’, because that is basically all that I shot. For that reason, some of you may get bored with this post. 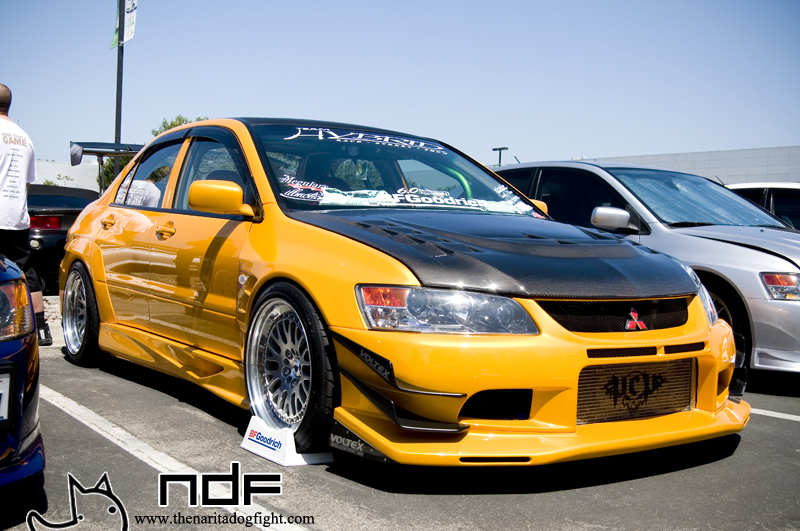 This meet had a full spectrum of Mitsu’s; everything from the cleanest built EVO’s to the worst looking and sounding Eclipses and Galant’s – no disrespect to the owners. So if you’re looking for shots of those or more complete coverage, check out Speedhunters in the next couple days because I know Mike Garrett was there clicking away as well. Click past the break to enjoy some shots of various Evolutions. 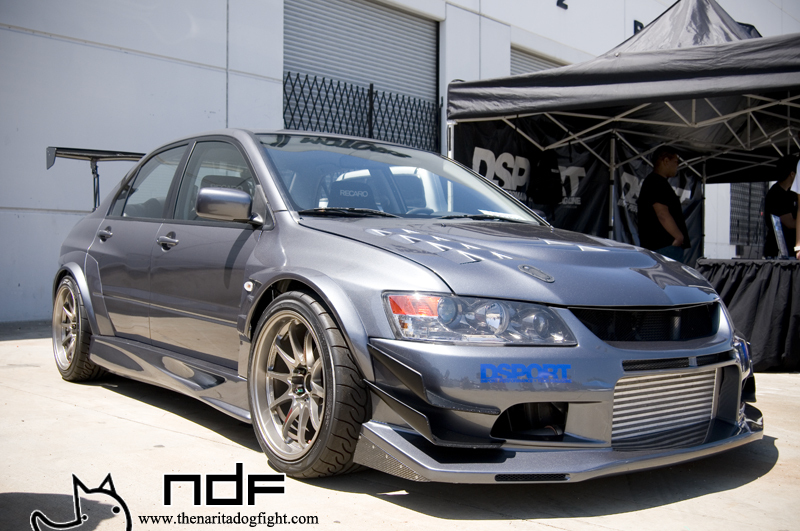 This post is sponsored by D-Sport, the Import Tech magazine because they gave me free stickers. D-Sport! 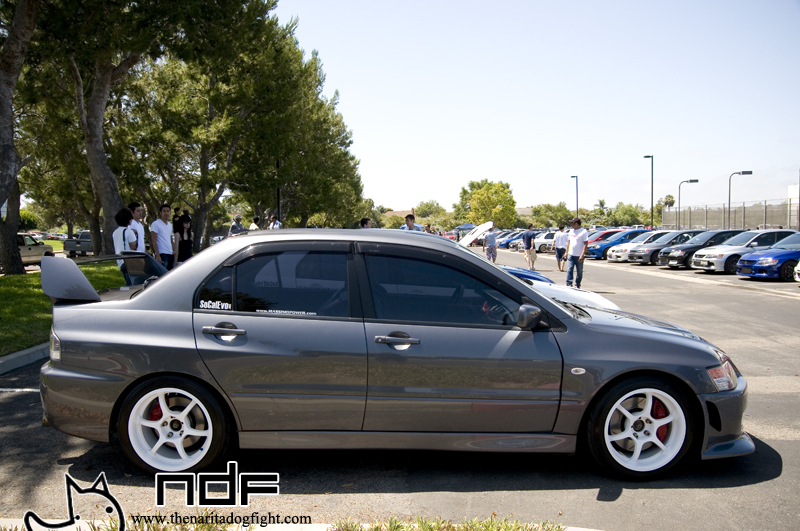 The meet was organized extremely well; I think that was largely due in part to Mitsubishi being the main sponsor. Sections and rows were designated for specific makes, although the majority of the space went for housing EVO’s. Continental Tire had an impressive display of X’s on hand. The Advan RG and RS definitely get the award for most popular wheel among the EVO community. I lost count of how many were wearing Advan shoes. Another X that was by the Continental booth. 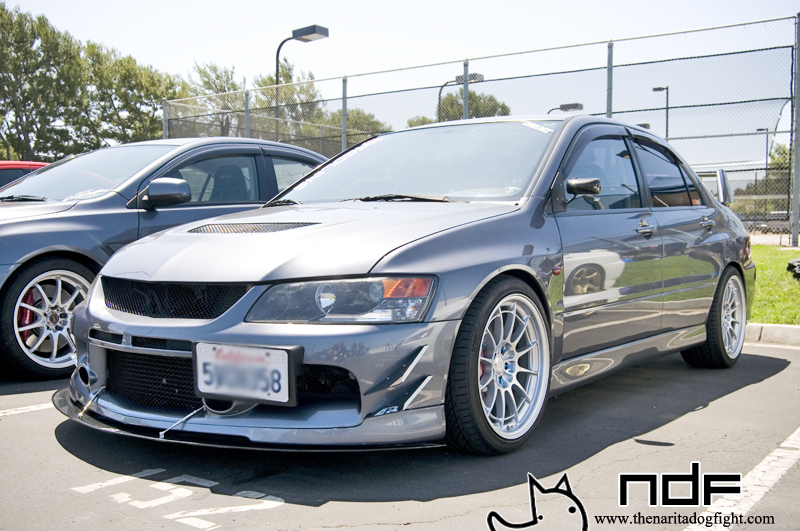 I love seeing this EVO at the shows around So-Cal. It’s appearance doesn’t change much, but that’s OK because it looks awesome the way it is. It looks especially good on the Wedsports. 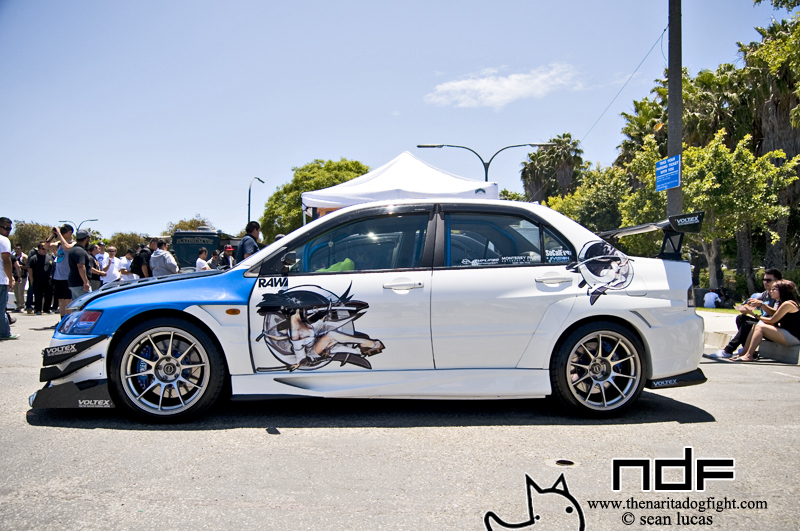 Looks like the owner has rid the fenders of the blue vinyl and other graphics we saw at Wekfest. What appears to be a stock IX – perfection. I would love to own a IX one day. I suppose I should finish my current build first. This IX had a set of Volk CE-28n Genesis which are pretty rare. Team Hybrid builds usually ditch the ‘clean’, minimalist approach in favor of a more show car look. Another set of Advans. 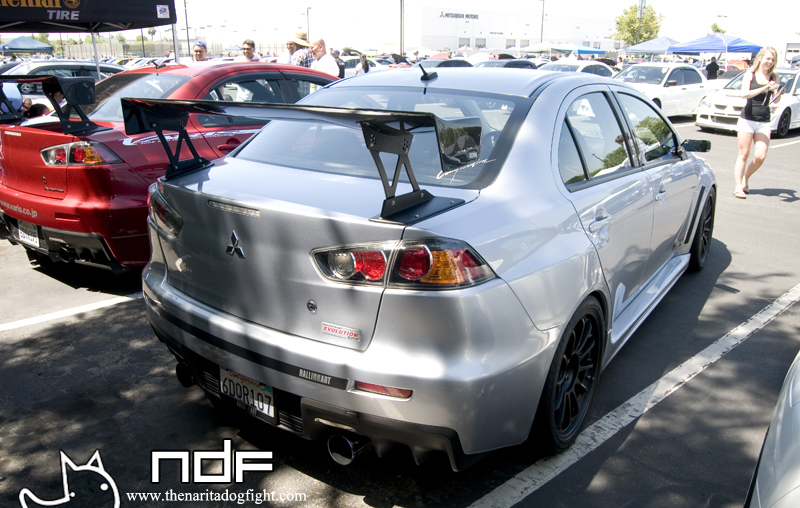 I don’t browse EVO forums often, but I’m sure there is a heated debate on what looks better – with wing or without. I’m definitely in favor of keeping the stock wing on, as the rear looks naked without one. Advans! This time in white. 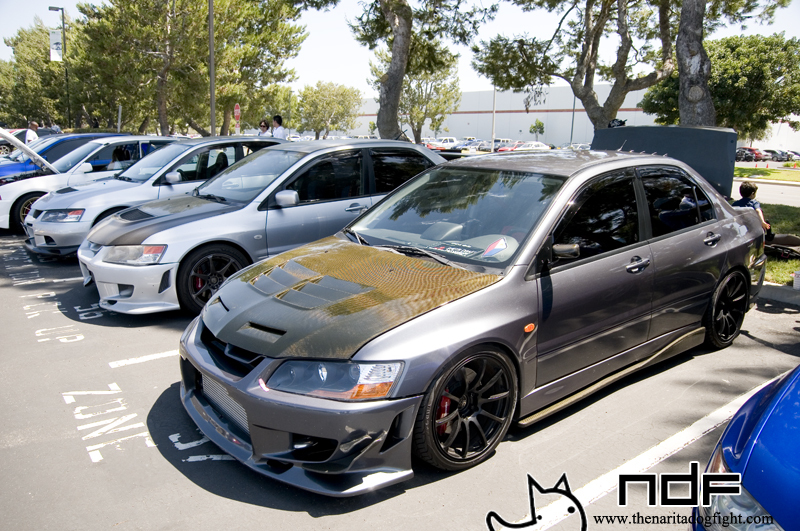 Despite the show being dominated by recent EVO models, this Evolution V fit in quite well with it’s younger brothers. Looks good on the Enkeis. 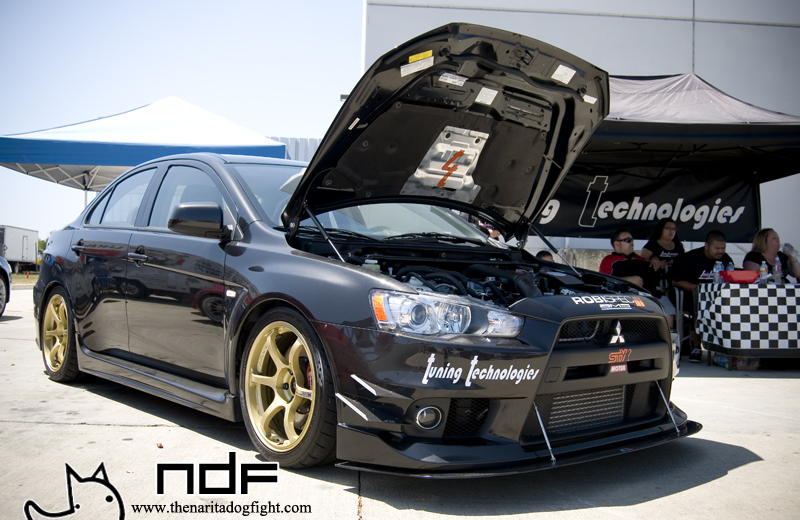 You don’t often see EVO’s riding this low. I’m not a huge fan of the canards on this one; I’m not sure which brand they are. I do like that front bumper though. It’s hard to go wrong with a set of TE-37’s. 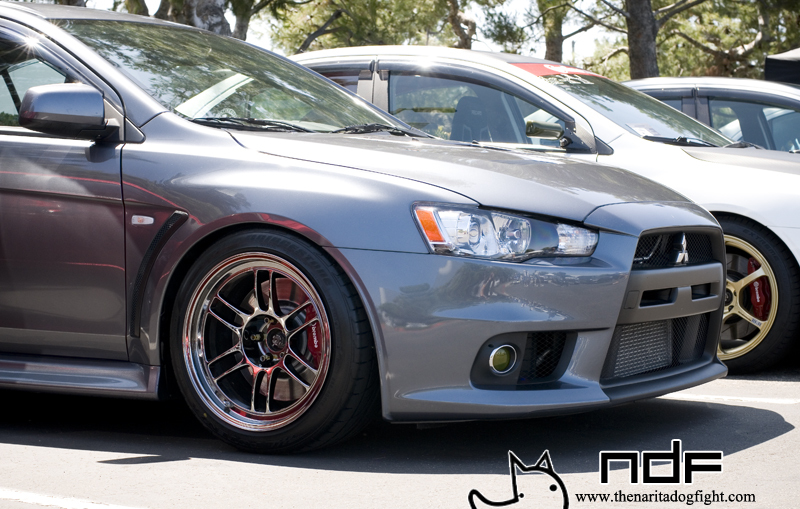 Looking back at the pics, I can’t believe the amount of EVO X’s that were at this meet. I started spotting a lot of the APR canards. I’d say 1 out of every 10 cars would have them. I think I only noticed because they are the same ones I have on my Civic, and they seem much too docile for the front end of an EVO. 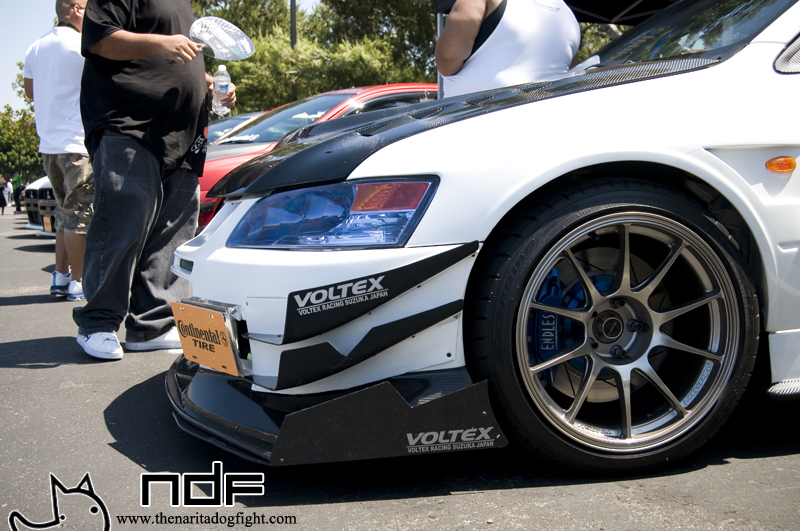 Something more aggressive would fit much better than these (*ahem* Voltex). 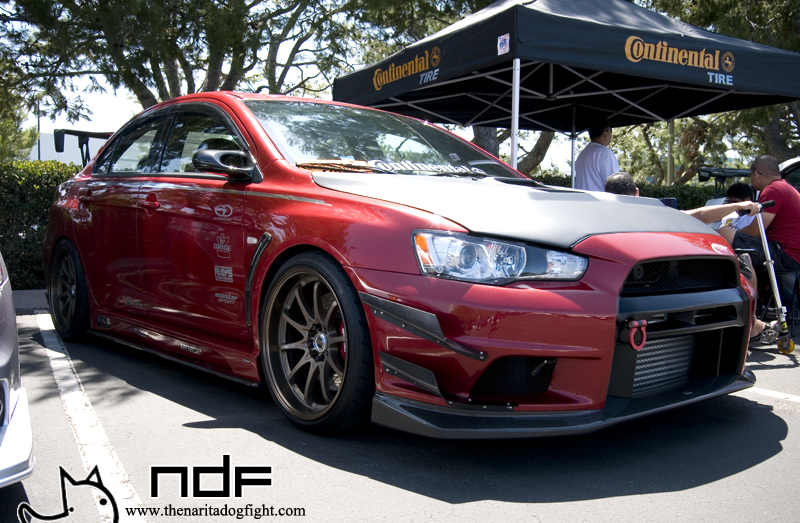 This EVO IX looked ready to hit the track. Note the canards. I had to document this for yucks. A little too F&F for me, but some still like this style. Note the canards. 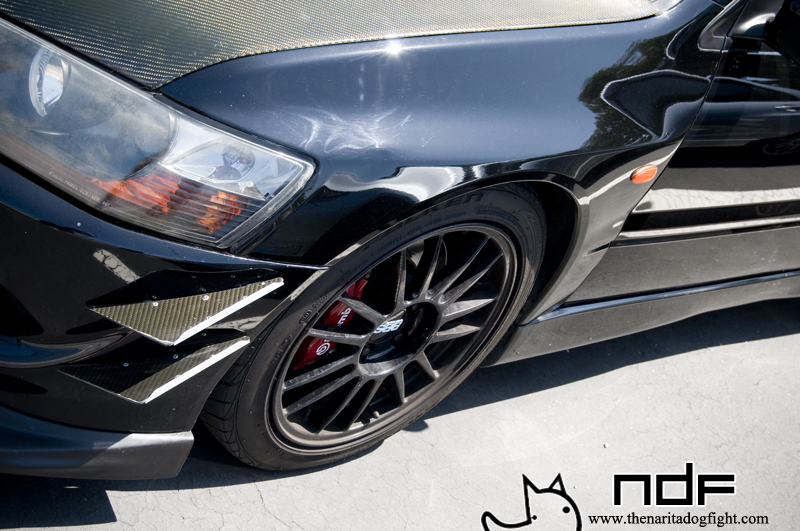 I’ll leave off with this Tuning Technologies EVO X on Advans – note the canards. To the right of this is where the majority of the vendors were. Tomorrow I’ll have the rest of the pictures up, including a close up look of what I am lead to believe is a Massimo Power built EVO.